We had an interesting afternoon loading a yak cow that has to go to be made into meat. 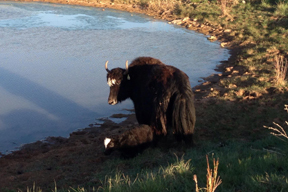 We ‘rescued’ her and three other yaks from a person who didn’t have time to adequately care for them. This particular cow killed a horse belonging to that person’s daughter, which was the last straw for them. 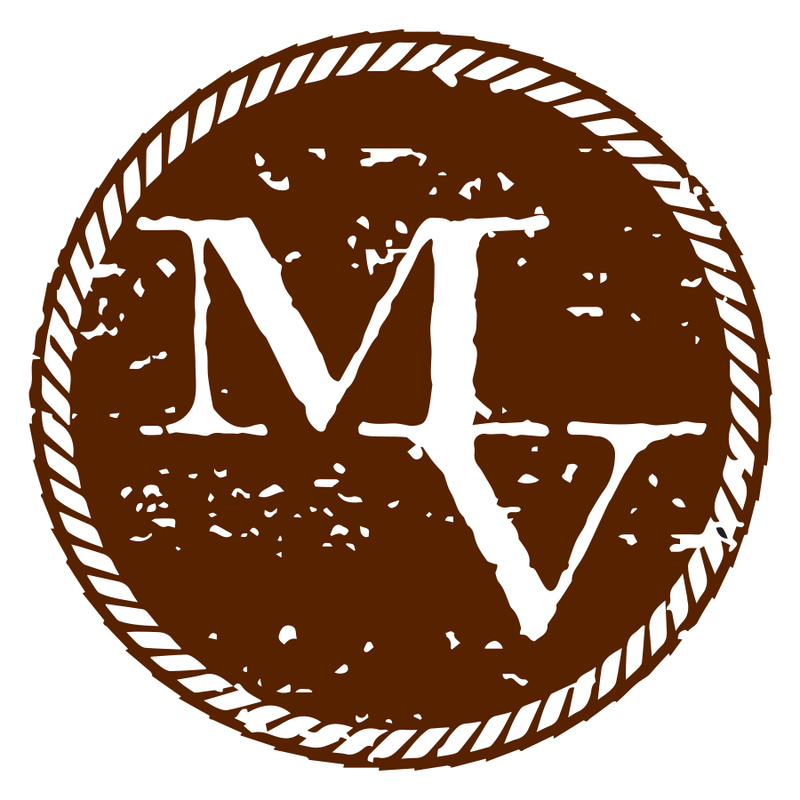 Since we absolutely won’t have a dangerous animal at Mesa View Yak Ranch, she is going to the butcher. The interesting part of the story is that one of the other rescued yaks is a wonderful registered, tame bull named Oscar. We had to load Oscar in the front of the trailer to keep him from ‘interfering’ while we loaded the cow. He jumped into the trailer following a feed bucket and waited patiently for the two hours it took to load her. Loading her took seven cattle panels, four people, and four vehicles all lined up in a row (long story). Oscar received his registration papers last week and seems to be showing off his new status. We were afraid that he might throw the tire through the fence so we took it away and gave him a smaller tire. 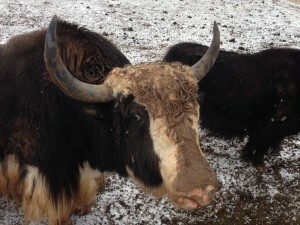 Oscar took advantage of the warm weather to apply makeup to impress the yak cows. Minnie May, our six-month-old, imperial heifer loves the attention that our guests from Georgia are giving her. 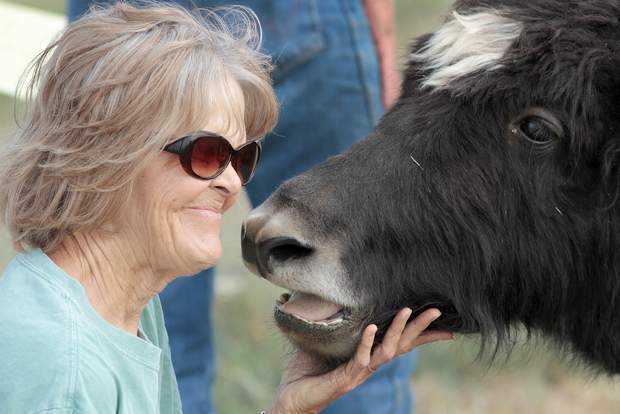 She was imprinted at birth and loves any kind of attention. 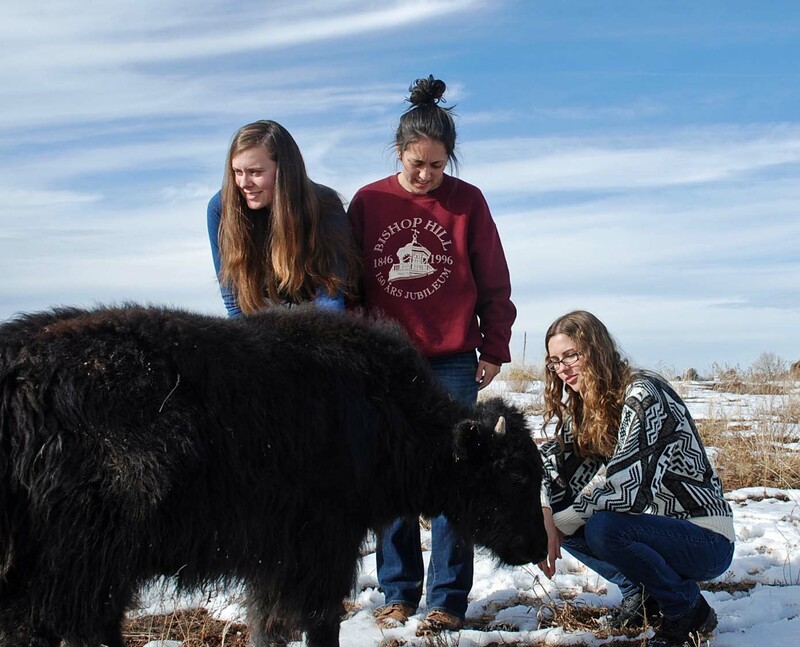 Meg, Anna, and Shelby are spending a week in our ‘yak guest apartment’ enjoying the sights, people, and yaks of the Four Corners Region. 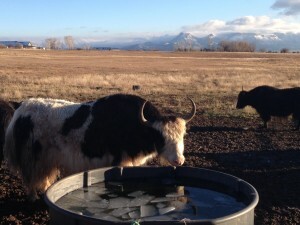 Signs of winter with fresh snow on Mesa Verde, ice in stock tank, and muddy yaks.